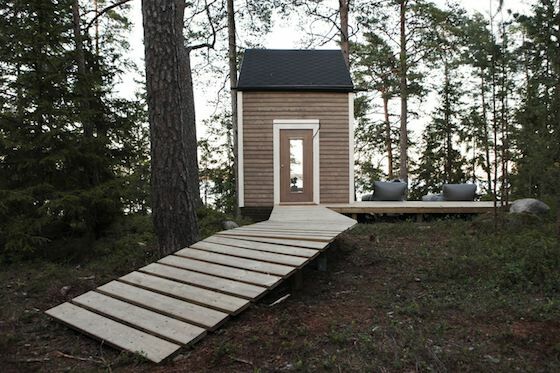 Micro Cabin so you can get away from it all! 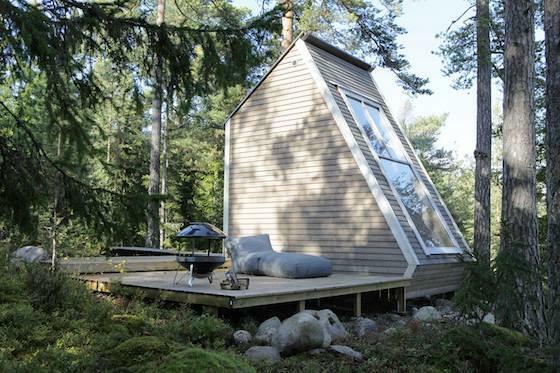 This micro cabin was designed and built by Robin Falck back in 2009 when he wanted to build his own getaway on a beautiful peice of land. The goal was to keep the structure under 96 square feet (9 square meters) so that he wouldn't need to go and get building permits. Some other ideas he was shooting for were to make the most out of the space he could use, build it entirely himself and to use local and recycled materials to do it. So after Robin created the design he decided to run it by an architect just to make sure that he was good to go. And he was. 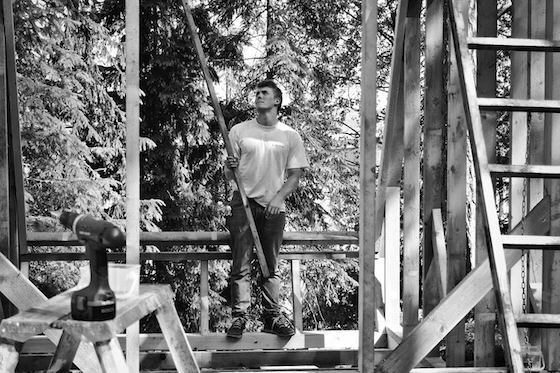 So in June of 2010 he started building the cabin and finished it just two weeks later! 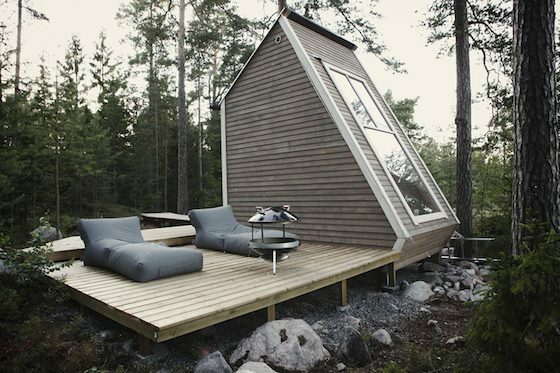 The cabin is unique in the way one of the main walls are angled upward. 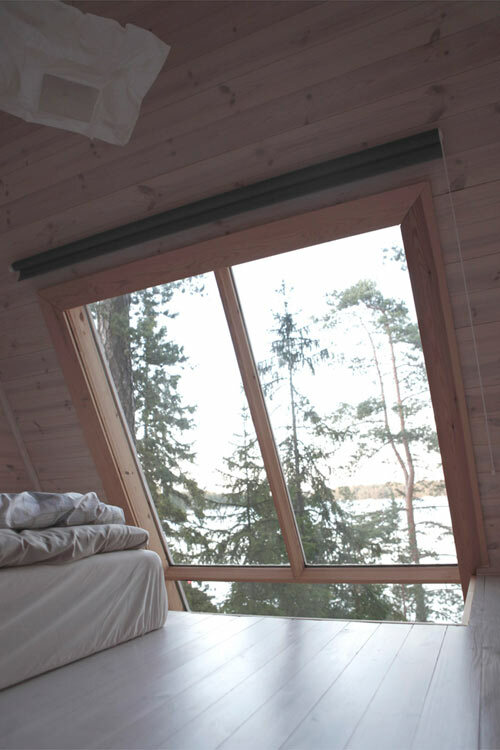 This allows you to use the window as a sort of giant skylight which at night gives you an amazing view of the stars. During the day it brings the nature in and gives you incredible views. It also brings in plenty of light. There's a micro kitchen on the first level where the lounge/living area is. When you go upstairs you'll find the sleeping loft and storage areas. And if you're curious, it was named Nido because that means 'birds nest' in Italian. More info and pics available here at Robin Falck's webpage. Get More Micro Housing Updates in your Email! 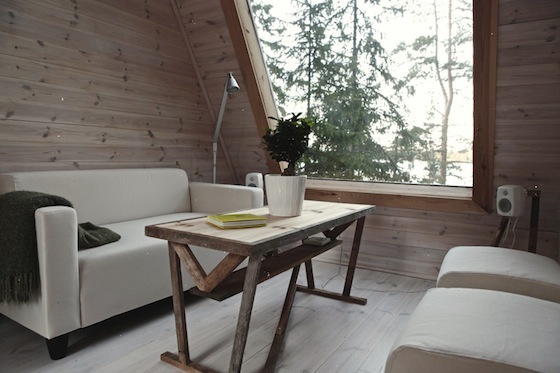 If you enjoyed this micro cabin you'll love our free daily tiny house newsletter!